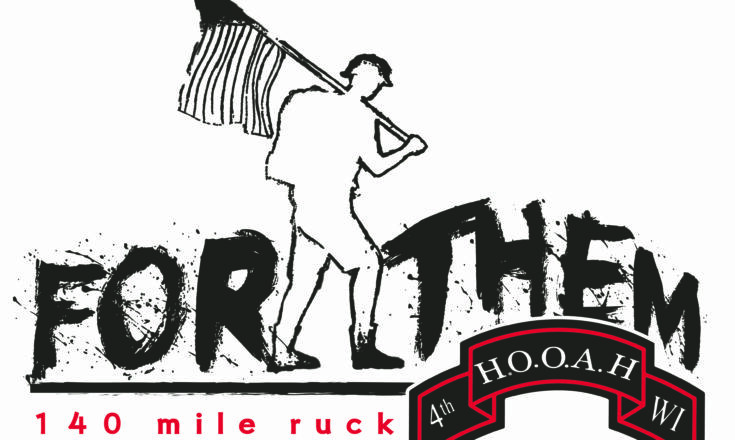 We are proud to announce that from August 18 through 24, 2019, a team of four St. Norbert College students will be conducting the 4th annual 140-mile ruck march to raise money and awareness for American veterans. The ruck march will consist of six days of continuous rucking down the coast of Lake Michigan. We will begin the ruck march at the Veteran’s Memorial outside of Lambeau Field, and will finish our journey at the Veterans Park memorial in downtown Milwaukee. We know that this march will be anything but easy. However, we are determined and motivated to raise awareness and donations for our country’s veterans. Karsen Sherrick, Kellen Witty, Quinn Schoenenberger, Devon Johnson are all passionate and motivated to raise awareness for these men and women who have given so much for this country. As always, everything we do is FOR THEM.